A week before the wedding Ivonne had her final fitting for her wedding dress at Minerva’s Bridals. It was a special day for her. Rosie from 27 Miracles was there to deliver an unexpected gift from a very special lady, Angela Nuran. 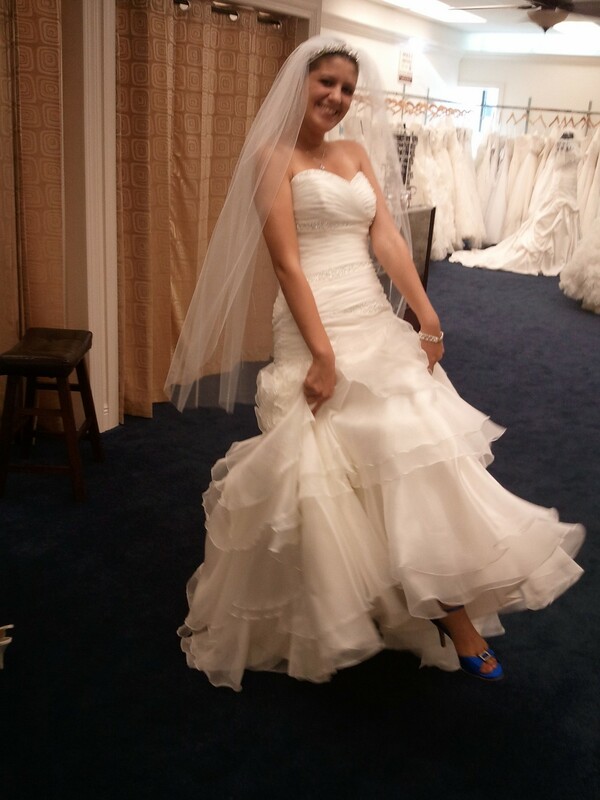 Angela Nuran is a designer of shoes and when she heard that the bride wanted a pair of her shoes in Royal Blue, she could not help but overnight me a pair of those shoes for the bride to wear on her wedding day. For those that may not know Ivonne’s story, Ivonne was diagnosed with Hodgkins Lymphoma February 13 2012, she underwent surgery, chemo and radiation. The community of Orlando and Tampa bonded together to be able to provide this young couple in love a dream wedding that they would remember always. The bride through the chemo and radiation, had lost the ability to walk without difficulty in her instep which made it hard to wear high heels. She started to learn to walk in high heels again. You will see her reaction as she puts these shoes on for the first time. Her wedding gown was designed by Maggie Sotero. It was donated by Minerva Bateman, owner of Minerva’s Bridals. Minerva was the one that contacted wedding planner Rosie Moore of 27 Miracles to help plan this wedding for Ivonne and her fiance Andrew. You will see video coverage of Ivonne prior to being diagnosed when she was modeling for Minerva’s Bridals. Her story will amaze you. Thank you to Nannuk Media for the wedding dress video.